In a perfect world, I would have 29 hours a day, my kids would still be in daycare full time and I would write and craft to my heart’s content. Like most of my friends, I have re-pinned all the DIY stuff on Pinterest. And have tried about 3 of them. But the other day, MissA made a request I couldn’t deny her. Because it sounded like sticky, messy, ooey-gooey fun. She loves Peeps. Which is really going out on a limb for a 3 year old, I know. She has also recently developed a love of Star Wars, much to my husband’s delight. Darth Vader is her favorite and she insists he’s a “nice guy.” Because he’s tall and strong. We have some SW cookie cutters, and one of her favorite meals is a Darth Vader sandwich (butter, ketchup and cheese. Awesome). Sometime this week, we were at Target and bought regular old Peeps, the chick kind. 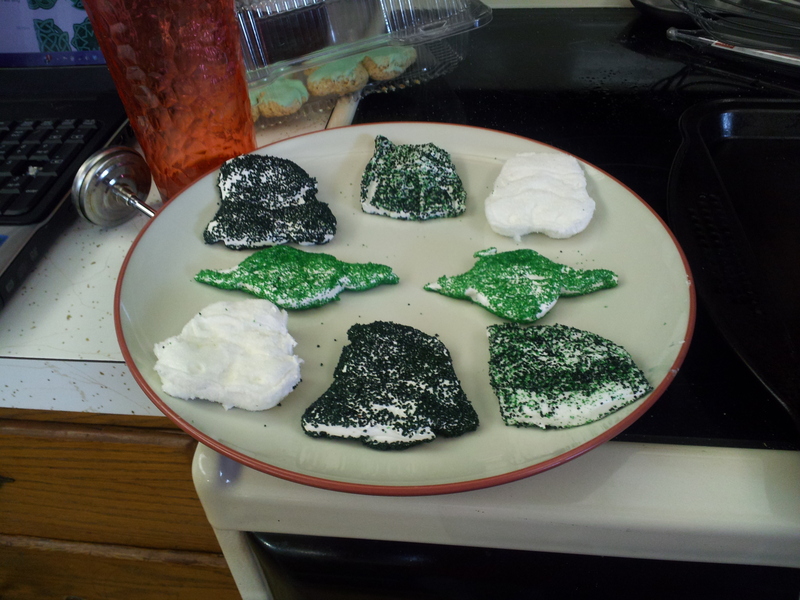 And she asked if we could make Darth Vader ones. 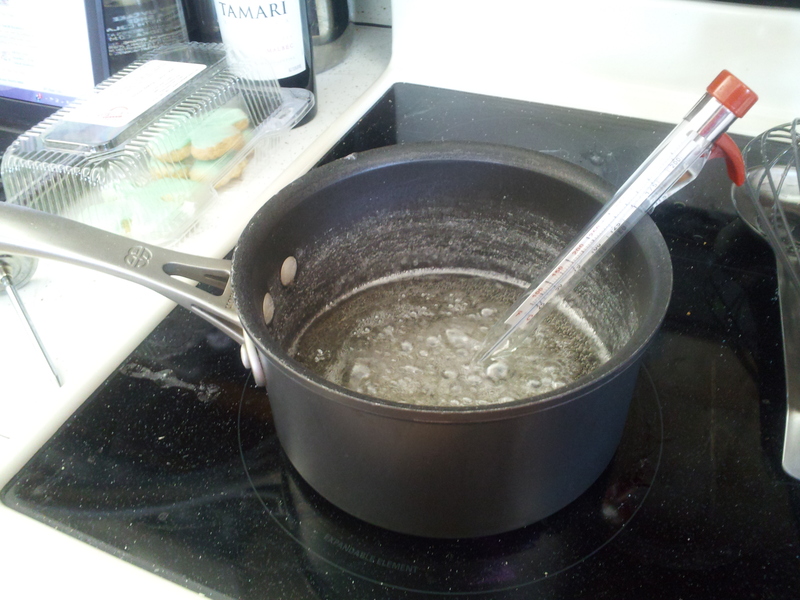 I thought I’d have to make my own black sugar for Vader, but a trip to the Michaels’ baking aisle proved me wrong. 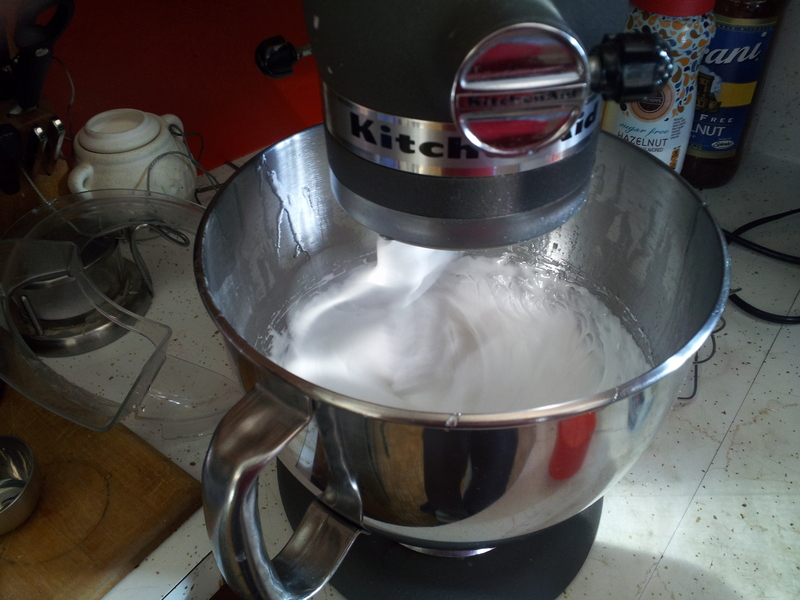 So, we whipped up a batch of homemade Peeps. 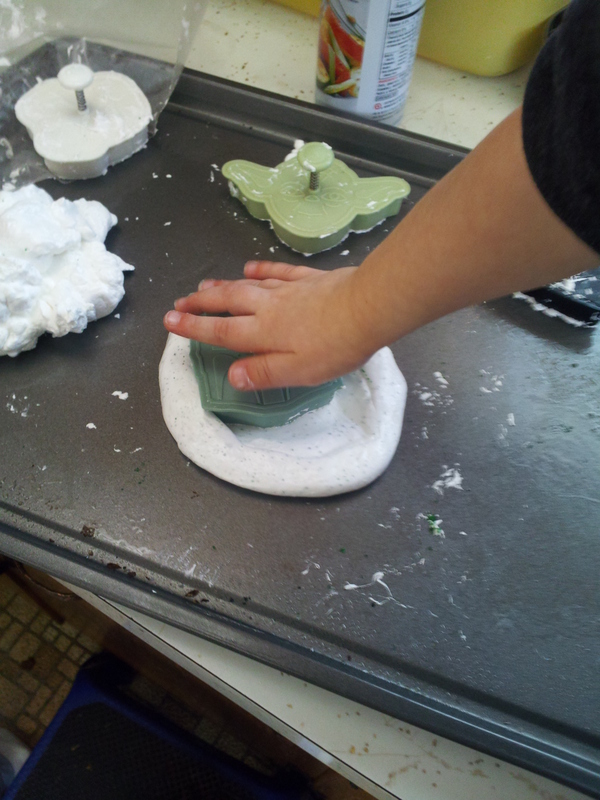 We now have Darth Vader, Boba Fett, Storm Trooper and Yoda. I’m not going to try to sell them at the next bake sale, but they’re not too bad. 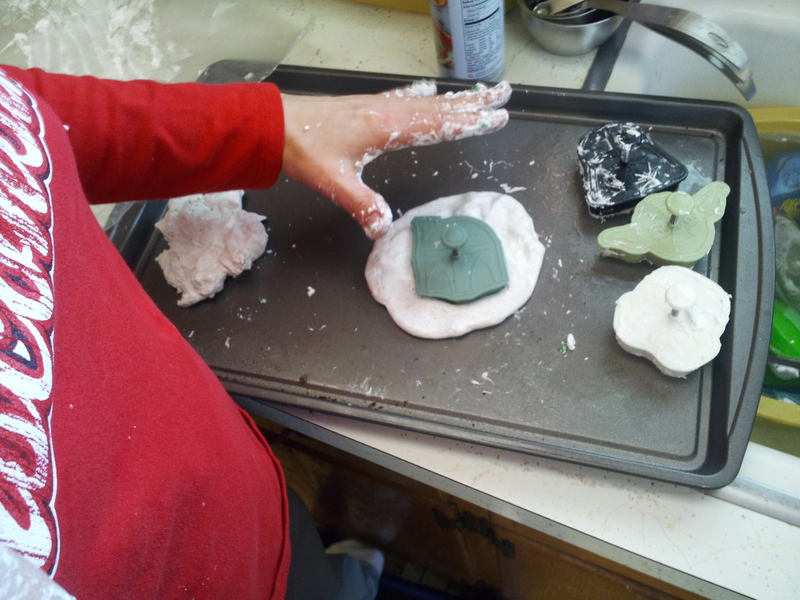 Plus we got to play with marshmallow goo. And they taste pretty good. The kicker is, MissA has decided they are a present for her cousin who is getting baptized tomorrow. Because what better way to represent the cleansing of original sin than a gift of the Lord of the Dark Side? 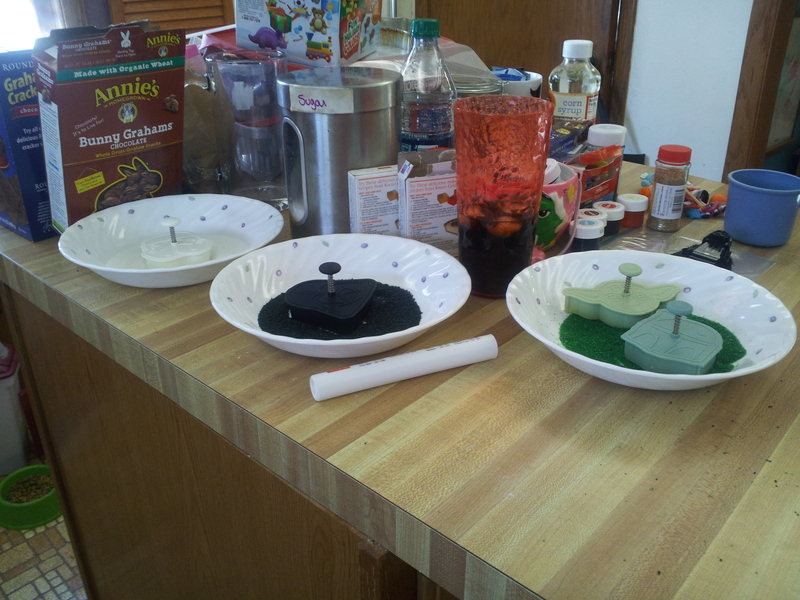 Colored sugars and cookie cutters all set to go. MissA cutting out a Boba Fett.